Danny "Playoff" Amendola, as he is known in many circles, left the New England Patriots last offseason in free agency, and signed a deal with the Miami Dolphins to the tune of $6 million. The wide receiver was not shy about discussing his departure, telling ESPN's Mike Reiss in an interview at the time that while he respects Bill Belichick, he would not have been paid as much if he had chosen to stay. Now it appears that the Dolphins may be having second thoughts on Amendola's price tag as well. According to the Twitter account Finszone, which describes itself as "[the] Official Twitter of Finszone/TFW, in the hands of over 53,000 Dolphins Fans. Followed by over 40 Current / Former Dolphins," Amendola may be on the move again. Another scoop coming in: sounds like the #Dolphins will be moving on from WR Danny Amendola this offseason. Was up in the air with Chad O'Shea coming in as the OC, but from what I've been told it sounds like Chris Grier isn't interested in letting Dola stay at $6M. If the report is to be believed, Dolphins GM Chris Grier "isn't interested" in letting Danny Amendola stay at $6 million. It's worth noting that former de-facto Patriots defensive coordinator Brian Flores has been named the Dolphins' new head coach, and brought former Pats' wide receivers coach Chad O'Shea along with him as his offensive coordinator-and is very familiar with what Amendola can do. In 2017 in his final season with the Patriots, Amendola recorded 61 receptions on 86 targets for 659 yards. Last year with the Dolphins, Amendola had 59 receptions on 79 targets for 575 yards. 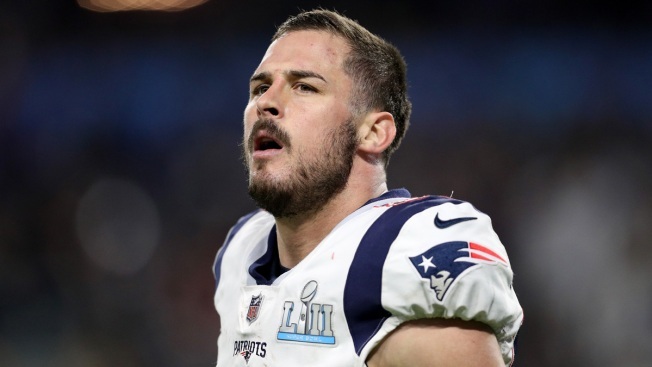 If Amendola were to be released by the Dolphins and become a free agent, it's possible New England may bring him back. On the other hand, after Amendola's comments about Belichick in the offseason, he may choose not to welcome the 33-year-old wide receiver back, or Amendola may opt to take a pay cut from the Dolphins should it come to that.